(NaturalNews) The ketogenic diet is a medical diet that is high in fat and low in carbohydrates, and is sometimes used in the treatment of epilepsy. According to emerging research, it may also hold potential for the treatment of a wide range of other chronic disorders, including cancer, diabetes and Alzheimer's disease. Strictly defined, a ketogenic diet is one that pushes the body into a state of ketosis, or burning fat to produce molecules known as ketones. In the absence of sufficient glucose, the brain is able to use ketones for most of its energy needs. Research suggests that when followed properly, most ketogenic diets are safe, with minimal side effects. The ketogenic diet was originally developed as a treatment for epilepsy in the early 20th century, in an attempt to safely mimic the seizure-suppressing effects observed in epileptic patients who fasted completely. Although the diet fell out of favor as a treatment following the development of anti-convulsive drugs, there has been renewed interest in recent years among those seeking alternatives to pharmaceutical treatment. The traditional ketogenic diet contains four times as much fat as it does protein and carbohydrates combined. More recently, researchers have studied a more permissive modified Atkins diet (MAD), which instead contains 50 percent fat. Studies indicate that both forms are effective at suppressing the symptoms of epilepsy in about 50 percent of patients. With renewed interest in the ketogenic diet, researchers have started studying its effectiveness in treating other conditions as well. One of the most promising areas of research is into its potential to slow the progression of cancer – although notably, no study has suggested that the diet alone is enough to cure cancer. What researchers did find is that in conjunction with other cancer treatments, the ketogenic diet can slow the progress of many cancers, including those that have metastasized. It also appears to improve quality of life during cancer treatment. It is unclear why the ketogenic diet slows tumor growth, but part of the effect may come from the diet's tendency to help regulate metabolic disorders such as obesity, metabolic syndrome and type 2 diabetes. In fact, reductions in blood sugar levels on the ketogenic diet are so substantial that they enable many patients to reduce or even discontinue their diabetes drugs. For life-threatening conditions such as cancer and diabetes, it is important that any changes to treatment regimen be made under the supervision of a trusted health professional. Another promising, though preliminary, area of research is into the benefit a ketogenic diet may provide to patients with Alzheimer's disease. Part of the reason this is considered a treatment with high potential is that Alzheimer's disease shares many features with both epilepsy and type 2 diabetes, including seizures, insulin-resistance-linked inflammation and an inability by the brain to use glucose properly. Research has shown that a ketogenic diet improves coordination and balance in animal models with Alzheimer's. When the diet is supplemented with extra ketone esters, animals also show improvement in some of the brain damage associated with the disease. Human trials have shown improvement in cognitive symptoms among Alzheimer's patients whose diets are supplemented with ketone esters or with medium-chain triglycerides (MCTs). 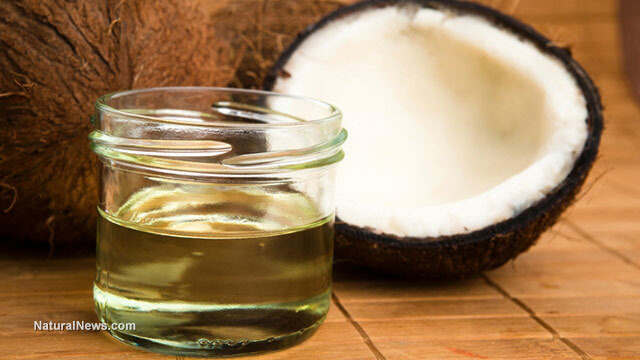 MCTs are a form of fat found in high quantities in certain foods such as coconut and palm oil, that can induce the body to produce more ketones without entering ketosis. Researchers are currently conducting and recruiting for several controlled human trials into the MAD plus MCT for Alzheimer's patients. The ketogenic diet has also shown promise in treating autism, GLUT1 deficiency syndrome, glycogen storage disease, migraines, multiple sclerosis, nonalcoholic fatty liver disease, obesity, Parkinson's disease, polycystic ovary syndrome (PCOS) and traumatic brain injury.